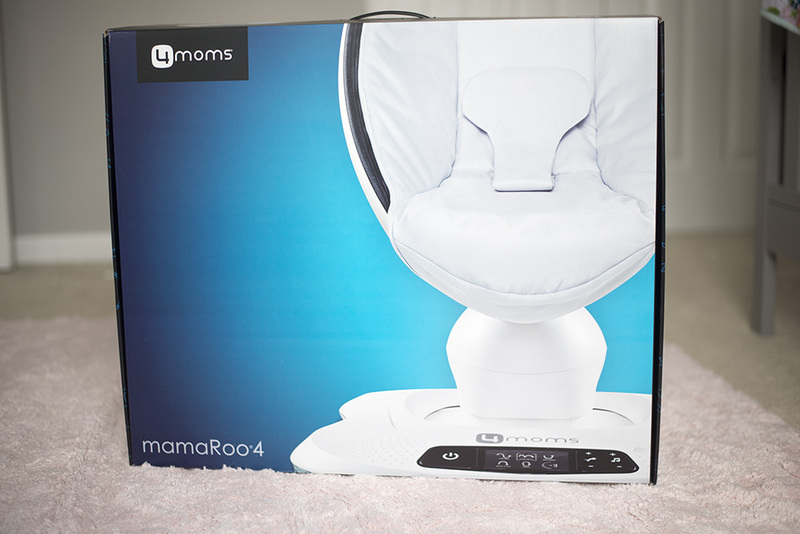 A big thank you to 4moms for sending us a mamaRoo4 to try out! All opinions are my own. I’ve been out of the baby game for quite a few years and had close to nothing saved for the new baby. 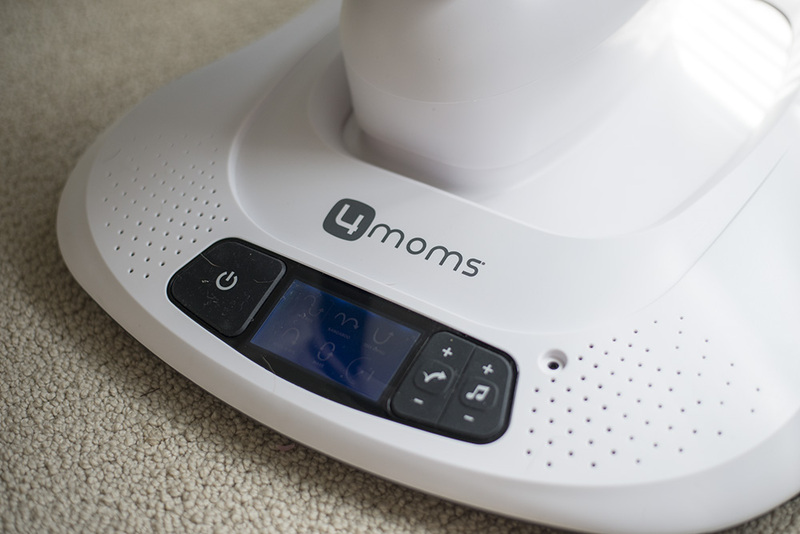 So thank goodness for other mamas who recommended all the latest and greatest baby products to me! 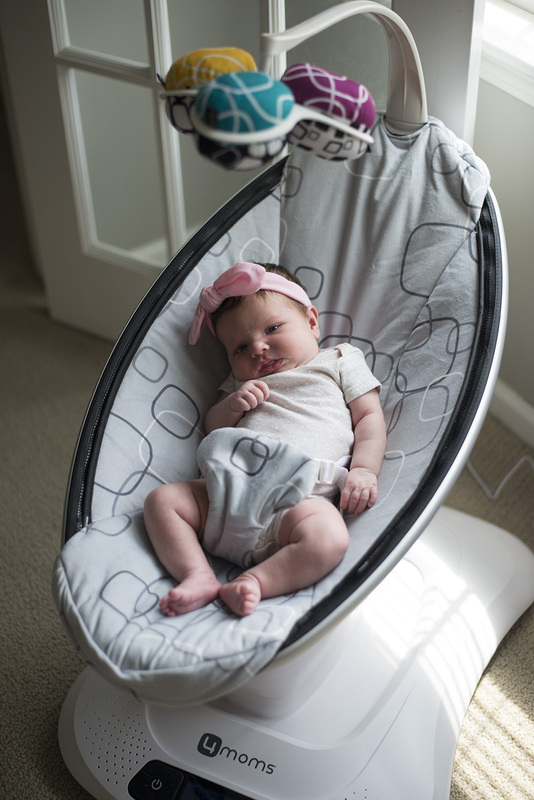 I had heard great things about the mamaRoo4 and was optimistic that we would love it too. This item has hands down been one of the best products we use every.single.day. Seriously. I would say she probably spends more time in it than anywhere else and it has been a lifesaver. 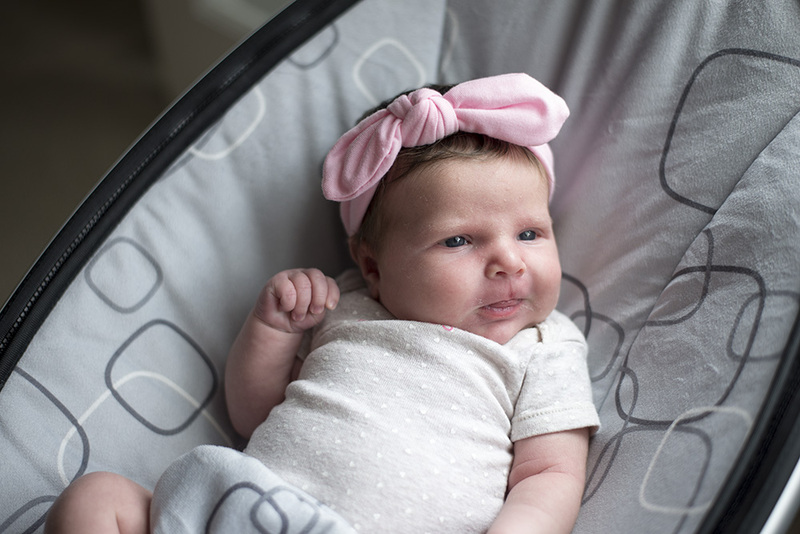 It’s not like a traditional swing that just goes back and forth; it offers more natural movements that mimic how a parent would move to comfort their baby. It offers 5 unique motions with 5 different speeds. So you can play around and see which one your baby likes best! You can also recline the seat to figure out where your baby is most comfortable too. 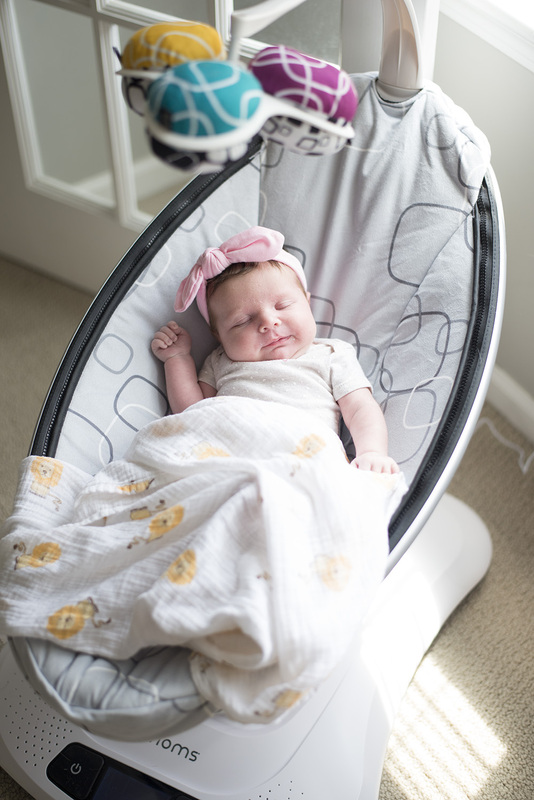 Some babies like to lay flat and some like a little incline, so you have the option for both. It also has 4 built-in sounds but offers the capability to hook up your own MP3 device to play whatever music you choose. And my favorite part? BLUETOOTH! 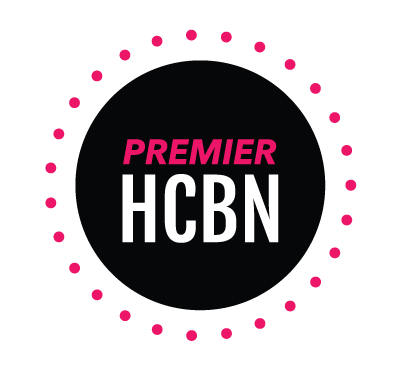 There’s an app that allows you to control it, right from your couch! Baby getting fussy? Try a different motion or speed. You don’t even have to get up! And I know my tired mamas (and dads) appreciate those extra few minutes of sitting in silence.